If you've put many hours of love into landscaping your lawn, the last thing you want to see is pesky "dog spots" popping up everywhere. Don't worry! You can have both a beautiful lawn and canine companionship as long as you take the time to develop a dog-friendly yard. Here are some tips for landscaping with dogs. Incorporate hardscapes into areas of your lawn that the dogs use most often. Consider adding some stone or masonry into your landscape or use a bunch of crushed stone mulch in your yard. This will minimize the mess dogs make through urination and digging. Not all types of grass are created equal. Some grasses are more durable than others and hold up better to foot traffic. Bermuda grass is particularly durable and is one of the best types of Arizona sod because it thrives in warm weather. Installing one of these tougher types of sod can help prevent wear and tear on your lawn from kids and canines. 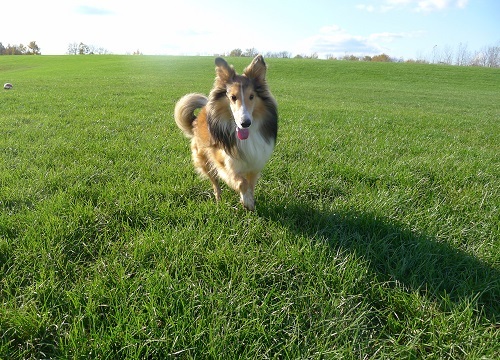 While choosing a tough grass prevents wear and tear, it does not prevent unsightly urine spots. If you simply can't stand these spots on your lawn, you may want to consider some green alternatives to grass. 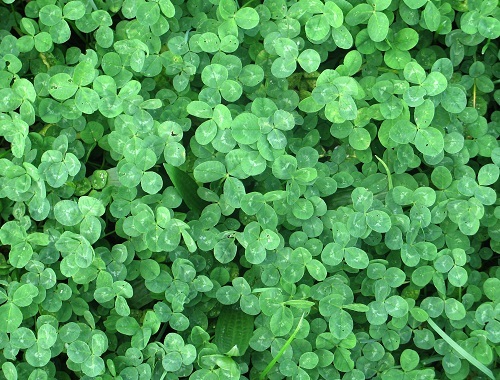 For example, clover lawns are a beautiful alternative to sod. You still get the look of a green carpet as you do with traditional sod, but clover doesn't stain the way grass does with canine urine. With a little dedication it is possible to have a sod lawn and live with canines. When you see a dog using your lawn, simply go outside and spray the area with water from the garden hose. This will flush and dilute the area, removing most of the harmful elements which create the yellow spots on your lawn. Do you have a green thumb? Then you most likely have delicate plants, flowers, and produce in your yard too. Protect these areas by adding fencing; then you won't have to worry about anything being trampled by kids or dogs. 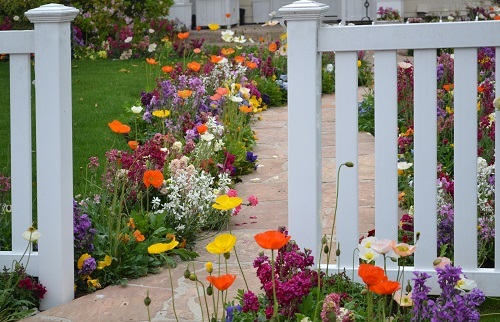 Picket fences are cute and can be painted all sorts of colors to match your landscape. Plant some pretty flowers around the fence and neighbors will be running out to Home Depot to keep up with you! Set up some wire cages around your trees and shrubs to prevent damage to their trunks and roots from canine urine. Once you have this all set up, your dogs can go about their business while you can rest-easy knowing your trees aren't being destroyed. Simply buy chicken wire, drive stakes into the ground, and run the wire around the stakes. Make sure the wire is tall enough so your dogs can't jump over.